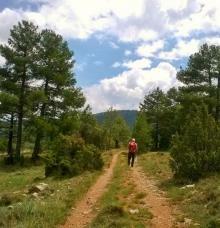 The Valencia Region offers excellent infrastructure for hiking: it has over 5.000 kilometres of certifiedtrails. Trails that peek at the sea from cliffs and trails that delve into the loneliest and most remote landscapes in a surprisingly mountainous region. Offer ranging from long range (LR) trails that allow you to carry out interesting hikes of over a day, to short range (SR) and local trails (LT). They all allow you to discover the natural and cultural heritage of the region at your own pace. More information on trails is available at the webpage of the Department of Land and the Environment (Conselleria de Territorio y Medio Ambiente) as well as the Valencia Mountain Climbing Federation (Federación Valenciana de Montañismo).